Do you love gaming? 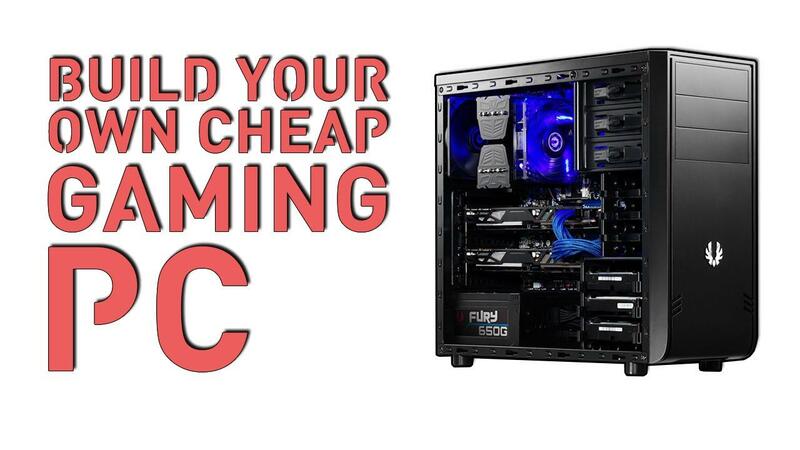 If so, it might be worth your time and effort to build your own gaming computer. Although this tasks may sound daunting, it really is not difficult at all. In fact, it is a terrific project that you can easily take on. When you are done with it, not only will you have a great gaming computer, but you can also brag to your friends about the feat you accomplished. Everyone will be impressed. To build your own gaming computer, all you need are the following materials. The first item you will need to build a gaming computer is the processor, or CPU. You can consider this element the brain of the computer. It controls what your computer can do and how fast it can do it. To find the best CPU, choose one that is cost-effective but still a good quality. Ask other gamers what processors they use and how they like them. Do some research and find one that fits your needs and wants. The motherboard houses the various components of your computer. This piece of equipment is called “mother” for a reason. It corrals all of the components and makes sure they behave and get along together, much like a human mother does with her children. Before you purchase your motherboard, take some time to think about the components your computer will have and then purchase accordingly. For your games to run on your computer, you need to supply it with at least 4GB of memory. However, for many games to run optimally, you should consider increasing your memory to 16GM of RAM. Graphics are a major part of video games. The graphics processing unit, or GPU is the component that will make your games look awesome. The GPU allows your games look as realistic as possible without crashing the computer or making it run too slowly. Take a look at the storage needs of the games you already have and then purchase your storage accordingly. You have a few choices for buying your storage: you can either buy a hard drive or a solid-state drive (SSD). Some gamers combine both by buying a lower-end SSD and combining it with a hard drive. That way you can have the best of both worlds. Any way you choose to go, if you find that you underestimated the amount of storage you will need, you can always add more later. Obviously, you will need electricity for your computer to run. So, you will need to invest in a power supply unit (PSU). Do not skimp on this component. If you buy a low quality PSU, you can easily fry your entire system. Look for a metal case rather than a plastic one so it will last forever. There is no sense in buying one that will need to be replaced in a few years. Also, make sure there is plenty of room inside for all of your components as well as ventilation so the components do not overheat. Once you have all of your components together, you will be ready to build your new gaming computer. If you have any questions about the components you will need, contact Viper Systems today. Our expert staff is here to help you.